Small businesses and startups are often at disadvantageous positions when it comes to lending services. They have limited access to banking services. Banks consider that they do not have enough track record to prove their ability in financial management. The new Payday lending rules seem promising for small business owners and novice entrepreneurs. 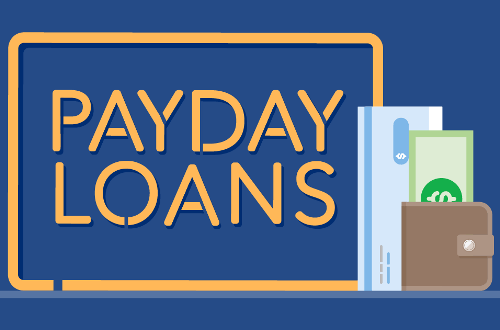 Payday loan is one of the easiest alternatives for small businesses. However, the interest rates are often prohibitive. Many payday loan agencies even offer predatory services for its clients. However, the small businesses and startups had few choices. The good news is that FinTech companies now pay greater attention to small business markets. Many small business owners and startups had depended upon the payday lending market for financial supports. However, the coming of FinTechs has changed the market condition. They almost ruin the existing system, as FinTech companies are also eyeing on the non-prime customers like small business owners. The California-based startup offers an app, which gives the customers easier but advanced access to paychecks. The customers just need to employment information and bank account number. Then, payment is ahead of time. It does not charge any fees to the customers. Instead, it gets payment from the app per transaction. This is another California-based FinTechs, which offer personal financial app. It targets people, who live paycheck-to-paycheck. Workers who need money before an upcoming check can get help from Even. The amount of credit is up to half of the upcoming paycheck. The FinTechs company also collaborated with retails like Wal-Mart in December 2017. More and more small businesses turn to FinTechs for financial help. This is what PayNet saw during the government shutdown. The provider of small business credit data noted that small banks and FinTech lenders helped the small businesses survive during the crisis. The government has recognized the problem brought about by the fintechs. The new payday lending rules are said to have accommodated the financial technology company. For instance, Small Business Administration now provides loans to small business. PayNet noted that 72% of small business loan applications were approved by SBA under its Small Business Loan Program. The agency even shows that FinTechs are targeting medium-sized business. If the shutdown continues, the FinTechs will play more important rules in helping the small to medium-sized business. Moreover, if the trend continues, approximately $16.5 billion of credits will be flowing to small businesses. In conclusion, the new payday lending rule is expected to accommodate the financial technology. This way, the non-prime customers have easier access when they need additional capital. For small businesses, capital flow is very sensitive. Even little problems with financial flow may lead to business shutdown. The new payday lending rules are still about to come. Let’s wait and hope that it accommodates the interests of small business owners.